The problem with new-style churches isn't just that they're ugly they actually distort the Faith and lead Catholics away from Catholicism. 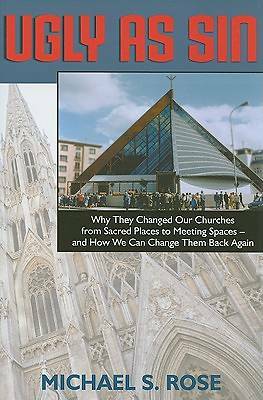 So argues Michel S. Rose in these eye-opening pages, which banish forever the notion that lovers of traditional-style churches are motivated simply by taste or nostalgia. In terms that non-architects can understand (and modern architects can't dismiss ), Rose shows that far more is at stake: modern churches actually violate the three natural laws of church architecture and lead Catholics to worship, quite simply, a false god.